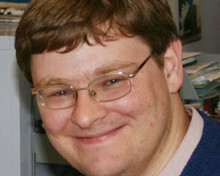 Andrew Grantham has been appointed as the news editor on DVV Media’s monthly title, Railway Gazette International. Grantham moves from his position as industry editor on the title. In his new role he will also take on responsibility for the production editor post of Rail Business Intelligence, a fortnightly newsletter for management in the UK rail industry. The new role will also involve working on the global magazine for senior personnel in the rail industry and the title's website.